If one thing is clear, is that The Elder Scrolls IV: Oblivion was one of the best role-playing games of the last decade. It had an expansive open-world with loads of quests, a decent main story and the sort of endless replayability which has made Bethesda’s games famous. Of course, since the release of The Elder Scrolls V: Skyrim, its predecessor Oblivion has lived in its better-known sibling’s shadow, but no matter how you look at it, this is still a great game overall. Also, while Skyrim got a remastered edition back in 2016, Bethesda disappointed many when it said there would be no Oblivion remaster coming our way. 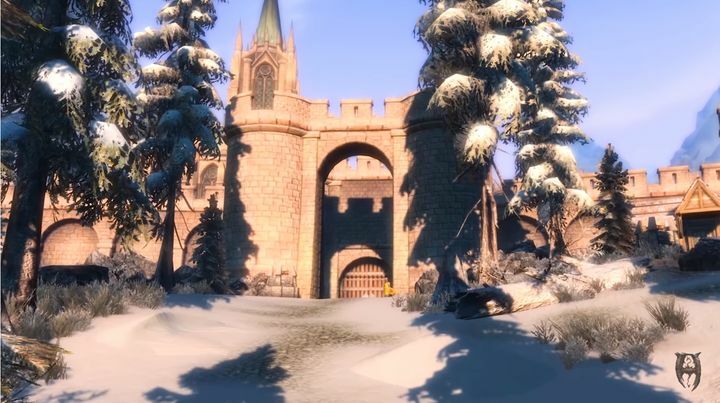 Thankfully though, a group of modders at TesRenewal is currently working on an updated version of Oblivion named Skyblivion, which will run on Skyrim’s engine to offer better visuals and gameplay. This project has been going on for quite some time now, and a trailer released in late 2016 showed us familiar characters from Oblivion in a new light, while the latest Skyblivion trailer shows familiar places from Oblivion, now looking more beautiful than ever thanks to the graphical update. These places include the Elven ruins which dot Oblivion’s landscape, the city of Bruma and the Daedric shrines where those who have played the game know you were handled some of Oblivion’s best (and strangest) quests. Of course, while Skyblivion seems to be progressing nicely (and does look very nice judging by this latest video) it’s likely we’ll still have to wait quite a while in order to play this updated version of Oblivion. This is because the team at TESRenewal is currently busy working on Skywind, a reworked version of Bethesda’s earlier Morrowind game which still has no release date, meaning the people at TESRenewal are unlikely to devote their full attention to Skyblivion until this other project is out of the way. But still, those eager to replay Oblivion but are put off by the aged visuals can try other mods available for Skyrim such as the total conversion mod Enderal, or others available for Bethesda’s classic RPG while they look forward to Skyblivion’s release.